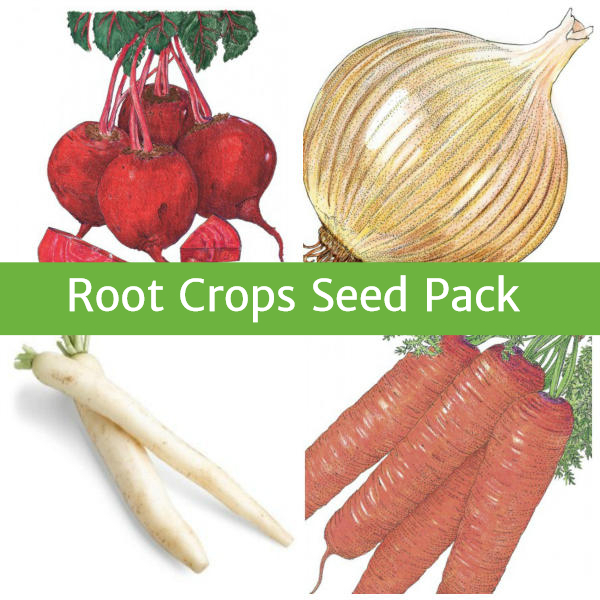 Get a great variety of root crops you can grow outdoors and indoors, in pots, or even in a greenhouse or cold frame. 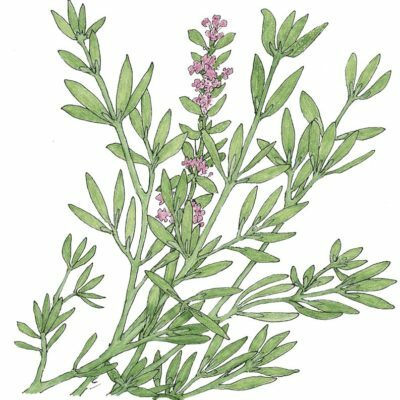 Thin some of the greens for use in salads or cooking, and enjoy the nutritious roots in salad, side dishes, or store them for later! This is a fine mid-season variety with a rich, dark-red interior and uniform 3" shape. An early variety, Detroit Dark Red beets store well and are also good for canning and freezing. 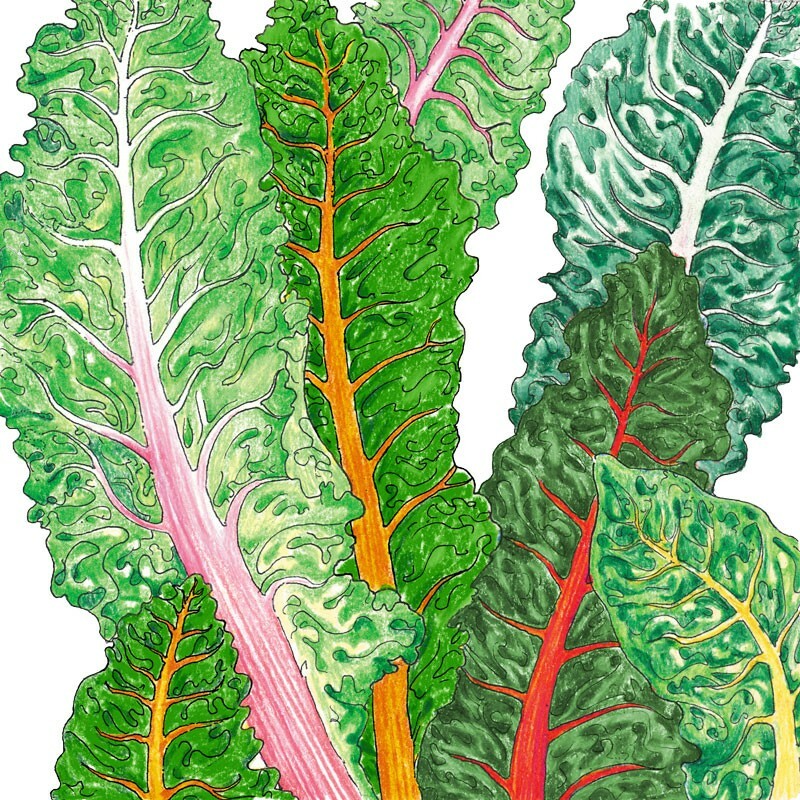 The dark-green leaves, striped with red, are wonderful braised or in salads. This well-loved classic is crisp, sweet, and delicious with a high sugar content. 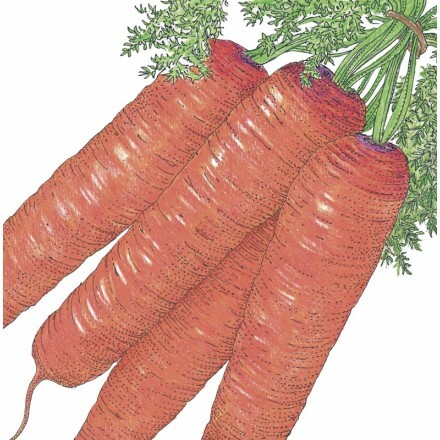 A perfect carrot for juicing, snacking, freezing, and storing. The root matures quickly but is also good when harvested as a baby. Its 6"-7" long root is almost cylindrical and blunt-ended. The fine-grained, red-orange flesh is nearly coreless. Long-day. 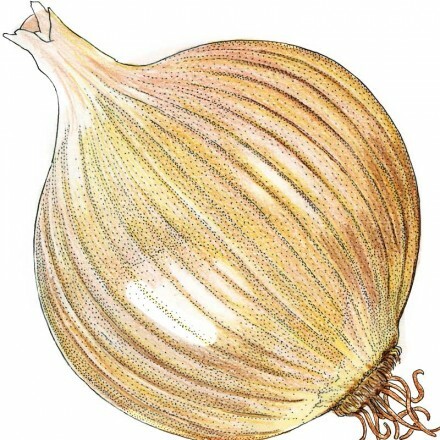 Large, golden onions are oblong-globe shaped. This late onion makes an excellent keeper; a rare and hard-to-find Italian variety. 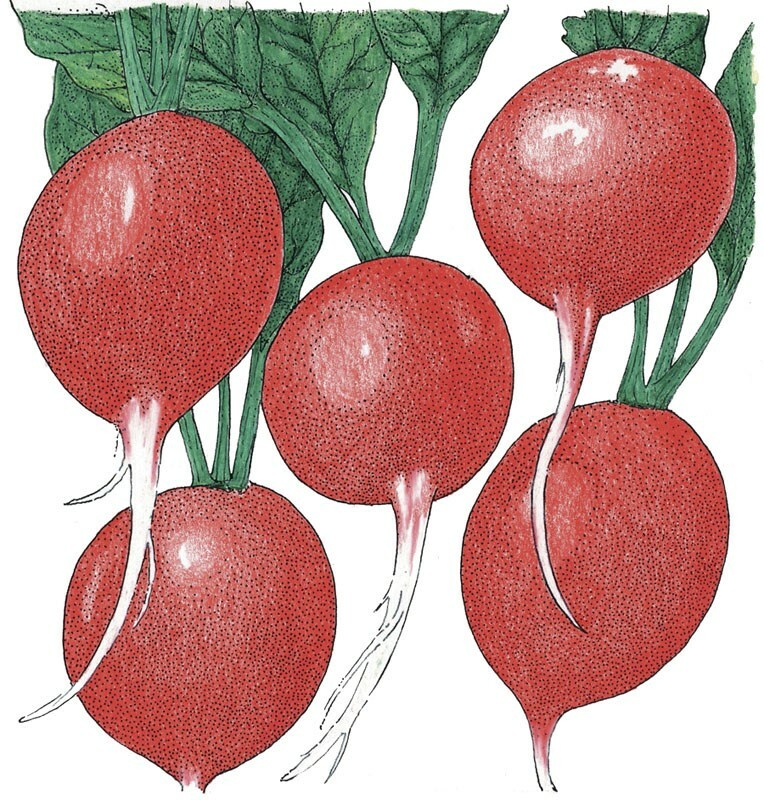 Cherry Belle radishes are round and bright, cherry red, 1" in diameter, with 2"-3" tops. The flesh is crisp, firm, and white. It's a good keeper and can be planted all summer long. 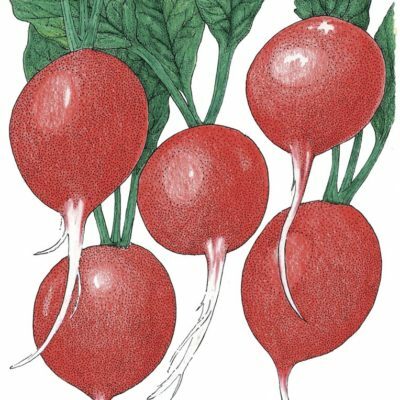 This variety is a fast maturing, early-season radish, best used immature in salads and condiments. Purple Top White Globe is a fast growing, crisp, fine-grained turnip. It is purple above ground and white below. 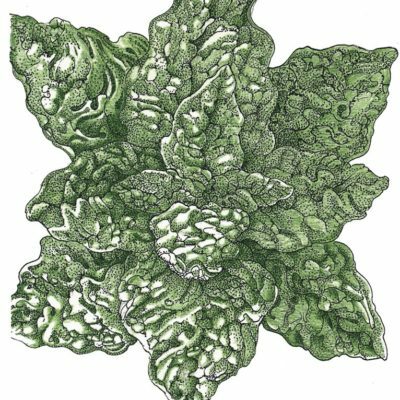 It keeps its mild, sweet flavor and tenderness yet grows larger than other turnips and stores well. 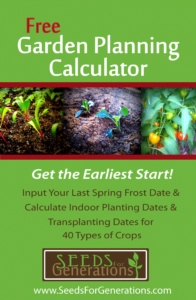 This pack saves you 10% off of individual seed packet prices!